Leah Hogsten | The Salt Lake Tribune Salt Lake City business and civic leaders gathered Thursday to reaffirm the principles of The Utah Compact, initially adopted in 2010. The compact emphasizes humane treatment of immigrants, keeping families together and focusing deportation on serious criminals. The Utah Compact’s five principles are straightforward and bring important attention to the impact our broken immigration system has on families, law enforcement and our standing as a free society. They balance compassion with the rule of law and consider the potential benefits to our economy. In short, they help us all consider the broad impacts of this issue and the importance of getting it right. Past debate on immigration often followed a hardline path, exemplified by Arizona’s legislative action in 2010. Many in our community were concerned about the effect such legislation would have on Utah’s economy, our residents and our state’s reputation. Today, nearly a decade later, our immigration system is still broken, and the humanitarian crisis has grown. Children are separated from their families at the border. Young Dreamers — for whom this is the only home they know — are in a state of limbo. Both parties have held control over the federal government and both have failed to find solutions. Politics continue to overshadow important policy discussions, while Utah and the rest of the nation stand in need of reform that adheres to the principles laid out by our community leaders nearly a decade ago. 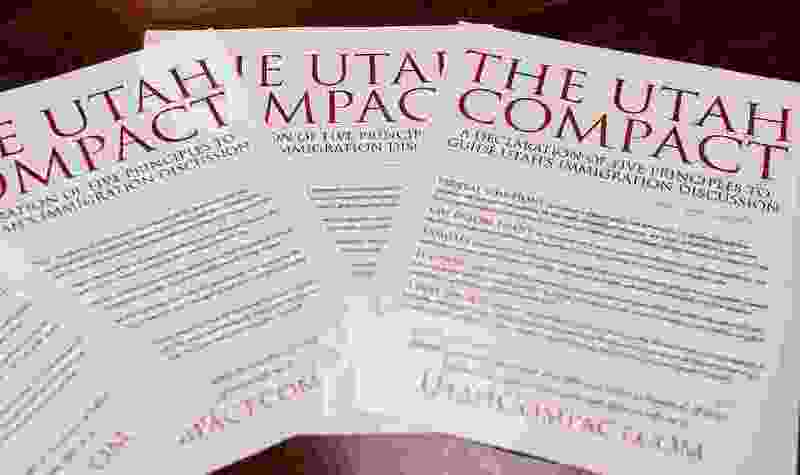 Last week, leaders from many of the same organizations that drafted the Utah Compact in 2010 — as well as several new voices — gathered again to reaffirm their support for the principles outlined in the document and to call on a new generation of Utahns to take up the mantle of leadership. Across all business sectors, in both blue- and white-collar jobs, immigrants represent a significant share of Utah’s labor force. Nearly 9 percent of Utah’s population was born in another country. These foreign-born residents are business owners, taxpayers and our neighbors. They represent 16 percent of the hotel and food services’ workforce and nearly 20 percent of employees in Utah’s construction industry. Immigrants not only fill in the gaps in Utah’s workforce and help businesses create jobs, but they are also an integral part of our communities. Smart immigration reform would ensure our diverse communities continue to thrive and would be a big benefit to Utah’s already booming economy. New data from New American Economy (NAE) shows immigrants in our state have a net economic benefit of more than $562 million as of 2017; they pay $1.6 billion in taxes and hold $5.3 billion in spending power. There are more than 12,000 immigrant entrepreneurs in Utah, who collectively employ over 38,000 Utahns. Industries from construction and manufacturing to restaurants and tech depend on immigrants in order to thrive. Just ask companies in Silicon Slopes if they could use more skilled code writers and engineers. Filling those jobs with immigrant workers creates additional jobs in other areas for Utahns as well. The principles of the Utah Compact show how agreement can be forged, based on shared values and common sense. The leaders who made the effort to come together around a divisive political issue have delivered a benefit to all Utahns and we are proud to continue to advance the sound principles they presented. Our state and our nation deserve immigration policy that strengthens our economy, protects families, allows law enforcement to focus on criminal activities and ensures Utah will always be a place that welcomes people of goodwill. 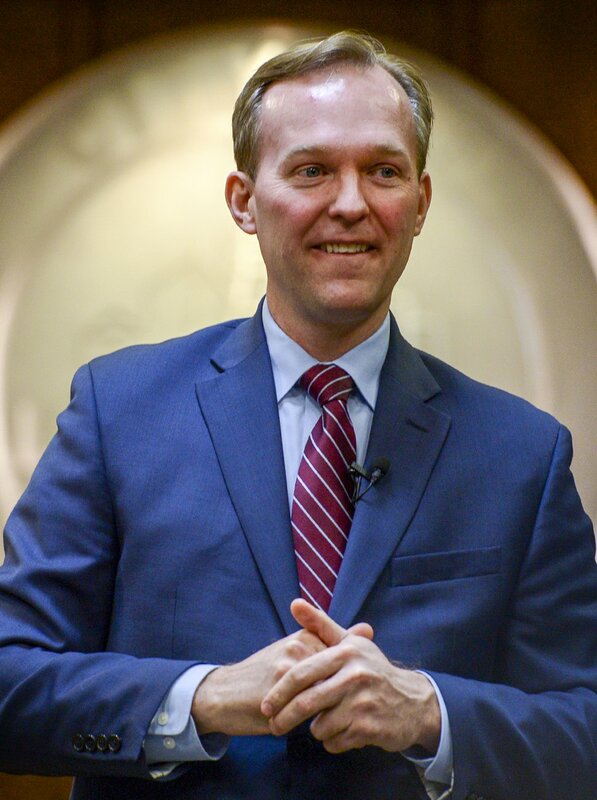 Leah Hogsten | The Salt Lake Tribune Congressman Ben McAdams met with his constituents in Utah County during his second town hall at Lehi City Council chambers, Feb. 19, 2019. Ben McAdams represents Utah’s 4th Congressional District in the U.S. House of Representatives. 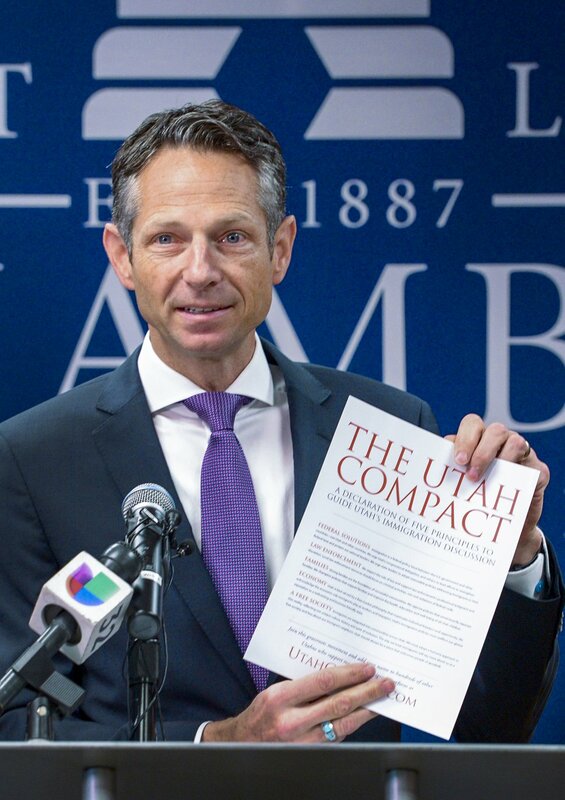 Leah Hogsten | The Salt Lake Tribune "Today, nearly a decade later, our immigration system is still in need of significant reform," said Derek Miller, President and CEO of the Salt Lake Chamber, holding a copy of The Utah Compact. City business and civic leaders gathered to sign the compact, initially adopted in 2010. The compact emphasizes humane treatment of immigrants, keeping families together and focusing deportation on serious criminals. Derek Miller is the president and CEO of the Salt Lake Chamber.